First of all, I would like to say thank you so much to all my voters out there who really sincere to bring me up to this level. 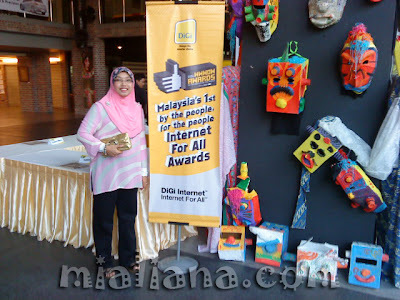 Although I did not win, but I am in second place after AnwarHadi, in Blogger of the Year Category. This is also a good achievement for this blog. Don't be frustrated, I knew most of you did not satisfied but we have to accept this as a fact. 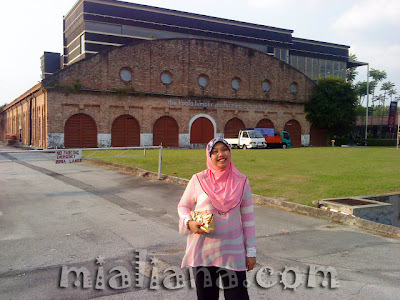 On the day, 12 July 2011, around 5.30pm we went out from Vistana Kuala Lumpur Hotel heading to Kuala Lumpur Performing Art Centre (KLPAC) with the help of GPS. About 15 minutes later we arrived to the destination. I met Izzudin first who were waiting for Ferroz to come. 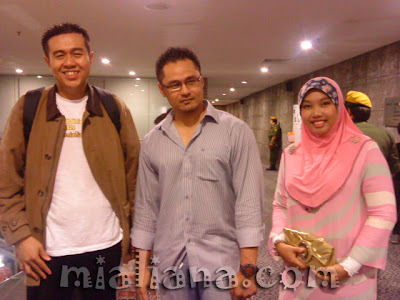 Then when we entered KLPAC, we met Hazman. I did chatting with him for a while. 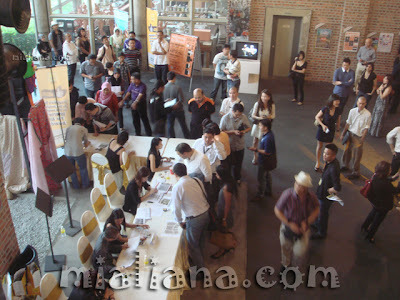 Then we queued up to register our attendance, and being given 2 tickets for our seating position, B9 and B10. After that, we climbed up the stairs and had our refreshments together with other people. There was also a puzzle game and some of them busy solving the game. 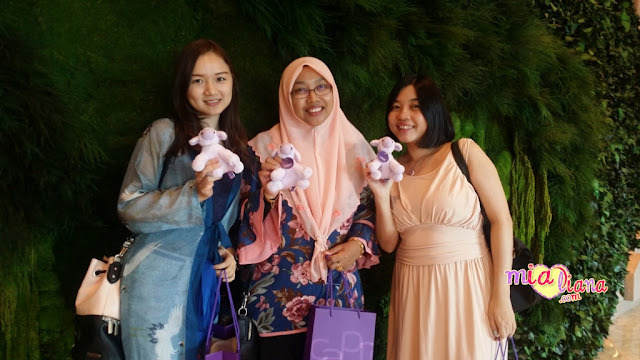 I did met some of the bloggers and took photos with them. 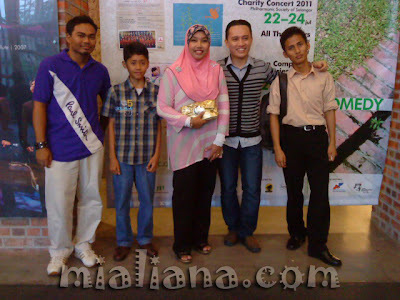 Not forgetting Budiey and MohdZaid who also representing the awards that night and other personnels too. These photos taken from my Sony handphone and Sony camera. I love Sony. 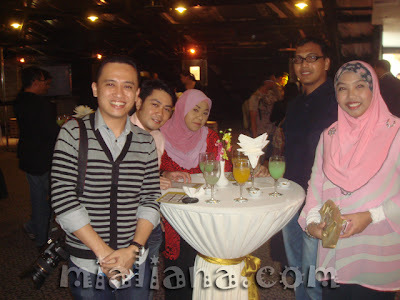 zaassss..
With Stevie @ Encik Arif (nominee for a few categories. wwwow!) and his friends. 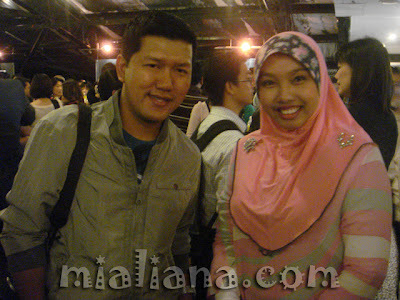 He was nominated for Blogger of The Year, Picture of The Year, Top Makan-Makan Expert and Top Kay Poh Award categories. 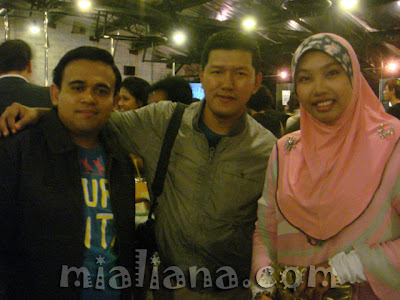 Just took this photo from behind Kak Ina KL, Ujang and Yana. 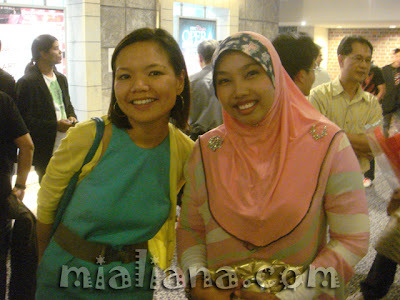 A bit shy to chat with them..
U did great job. Not to forget, you are the most voted female blogger for this contest. Surely, if there's a category for Favorite Female Blogger, you will lead it! Anyway, good to see you sis. I really do. And, oh, by the way, the CD containing photos is on its way to the given address, yeay! 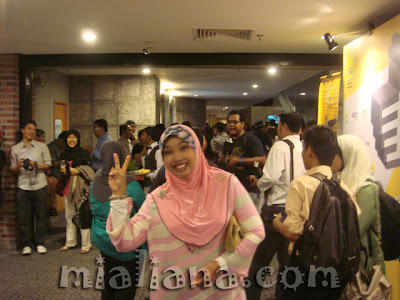 heh" ada gak kat sni :P hik hik besh2 tak mcam si zuddin buat entry tak backlinks ape pown ta bley hihihih..
wah..abg ben pun ade ye..hehe..tahniah ye sis.and tahniah jugak utk anwar hadi sebab menjadi juara..lama tak jmpe beliau selepas skolah..
wahhh.. mana mana boleh dapat jemputan ni. Congratulation kak, you deserve it. once the best..will always be the best..
Assalam Mia, Tahniah...Mia dapat No.2. Ini rezeki Mia, Suami dan anak2. 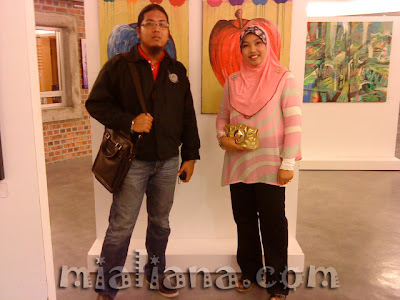 Terharu melihat Mia linkkan blog Panglima di blog Mia ini. Thank you. Kunjungan hormat dari Panglima. wahh seronoknya! dpt jumpe abg ben lak tuu! You had done a great job here! Congrats and hope your blog will be known by more people! Seriously really great contribution, I truly depend on up-dates of your stuff.